Initial results of the November 7, 2017 election have been made available at: https://results.vote.wa.gov/results/current/benton/ Returns are up significantly over the previous comparable election (36.8% vs 32.7% in 2015). Congratulations to Steve Lee, who won a seat on the Kennewick City Council, and to Blanche Barajas, Ruben David Alvarado and Craig Maloney who won seats on Pasco city council. Christy Watts in Kennewick and Kate Moran in West Richland are too close to call. While we would have liked for all of our candidates to win, those who did not still achieved 43-46% of the vote. These results are encouraging. Our candidates were qualified and capable and presented themselves well to the electorate, and as a result, they received a lot of support. Those who won should have a more clear view of what their constituents expect. Our candidates and their volunteers have gained experience that will serve our movement well as we work toward a government and a culture that works for all our citizens. • adopting collective bargaining agreements. In the current 2017 election for school board positions (termed “directors”), 25 of 38 candidates for school board positions in Benton and Franklin counties ran unopposed. One can excuse a city like Washtucna (Adams County) when it’s all they can do just to fill the 4 positions they had on the school board. They have all of 130 registered voters. 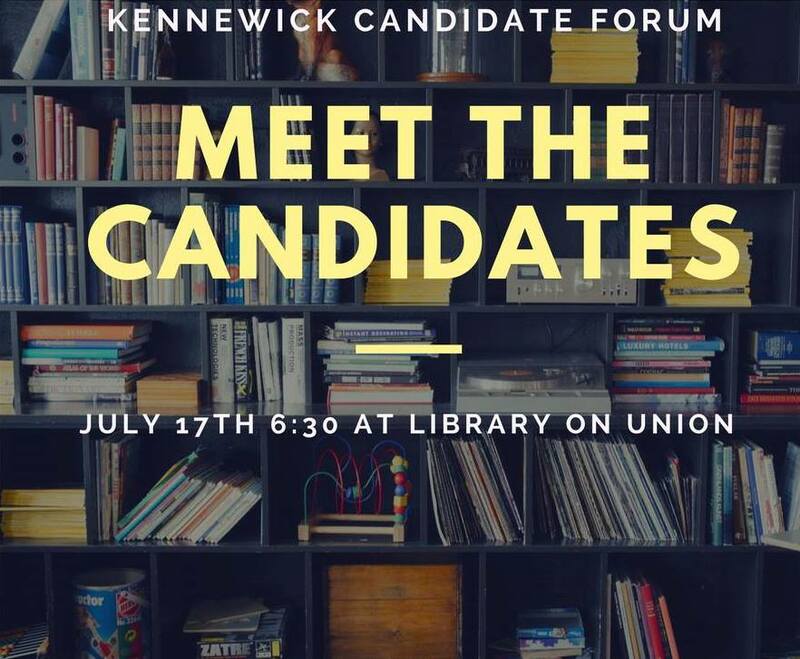 But Kennewick, Pasco, and Richland have over ninety-six thousand registered voters, and 3 of 8 candidates for school board ran unopposed. In Prosser, 2 of 3 candidates ran unopposed, 720 registered voters didn’t return their ballots, and the candidate Benton County progressives supported is likely to lose by less than 100 votes. Let’s recruit good people to run for local office, and let’s continue to work hard to register voters and GOTV — for the good of our communities. For the good of our party. 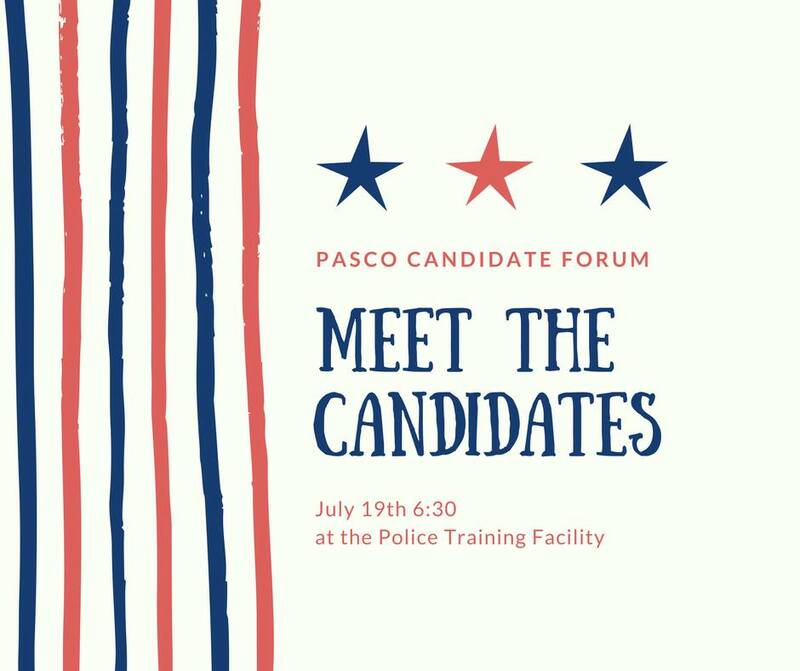 A CANDIDATE list, with all candidates is available for downloading here. The list contains links to the voters pamphlet. Our recommendations are highlighted in green. The Tri-City Young Democrats Candidate Forum was June 29th. 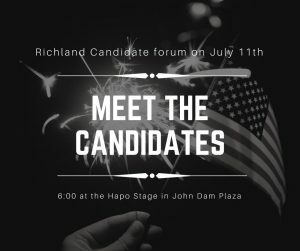 A livestream of the event is available and there is a write-up on the WA 8th LD Democrats blog.